The World Cup is nearly here and Nike have released a collection of new kicks to celebrate the greatest show on earth. This new Skyline has been given the World Cup treatment with new bright colours. 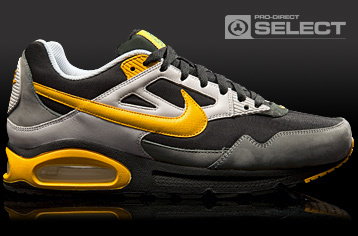 Were really getting excited about the new releases of the Nike Air Max Skyline trainers. The Skyline is a totally new design which has set itself up for some seriously great colourways. The Nike Air Max Skyline has the potential of being a classic Nike sneaker. By creating sneaker that blends elements from other Air Max models such as the Air Max 1 and Air Max 90, Nike have created a new model which will be hitting the streets hard. Aside from the Skyline looking the business, these new Nike trainers offer some serious comfort. The Skyline is made from breathable fabric material which can be found on the toebox, side panels, tongue and back area. Along with this, the Nike Skyline features premium leather on the front and side panels and on the Nike swoosh.